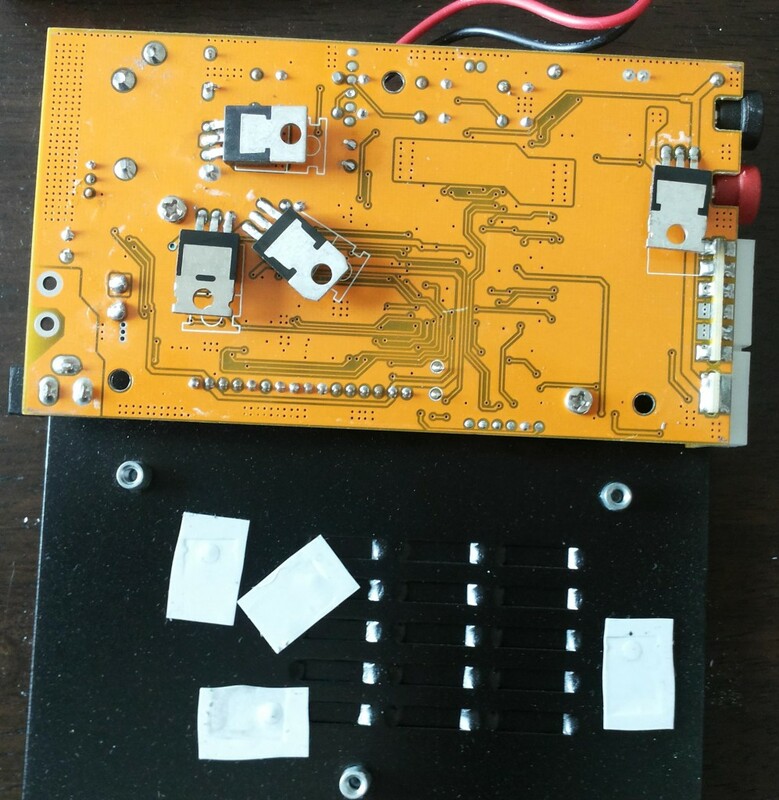 I recently got some discarded NiCd batteries from emergency lighting fixtures (5 cells, 7 Ah) and I started looking for a way to check if they might still work. 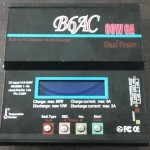 While searching for chargers I found model B6AC that: charges automatically almost any battery chemistry (various lithium, NiCd, NiMH, lead-acid), can discharge batteries in a controlled way, balance li-ion battery cells, can cycle the battery through several charges and discharges, indicates the charge and discharge capacity (and probably some more features I still do not realize). 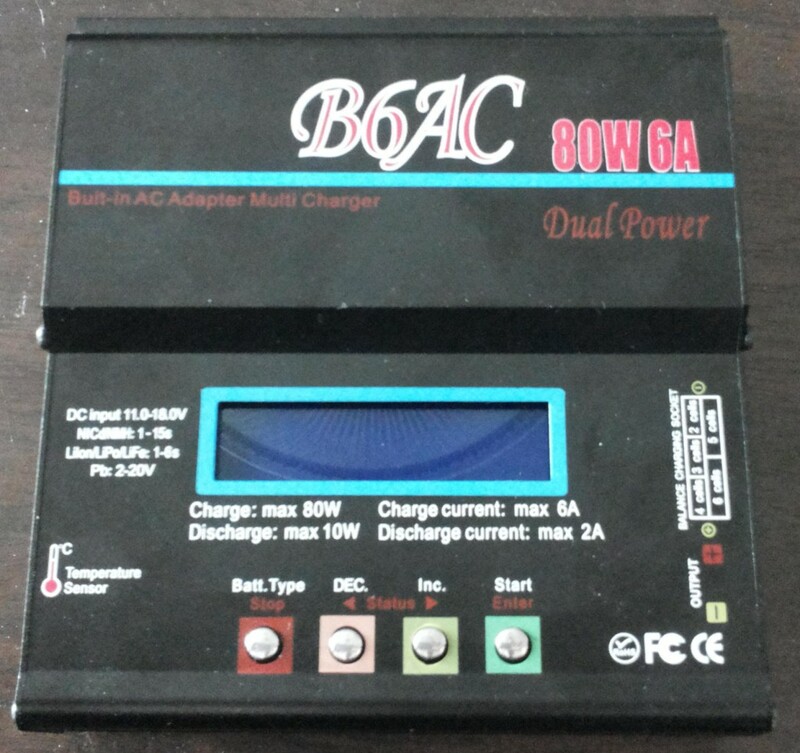 This a popular charger in the RC community and is also widely cloned, so there is a very high risk of buying a knock-off. I would be angry if I overpaid for a clone, so I went straigth that way and got one for about $30 on Aliexpress. It arrived with a bunch of cables and connectors. 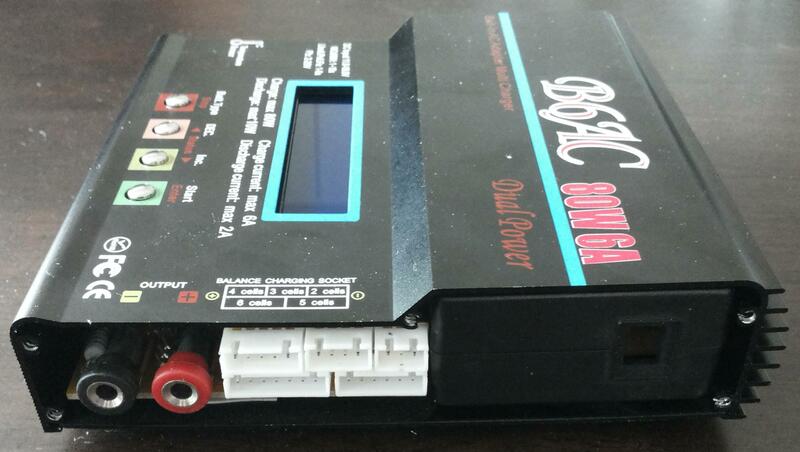 The case holds a laptop-type “brick” power supply (the charger can also be DC powered). On the other side is a pair of the main charging contacts and balancing connectors. The build quality is good enough. 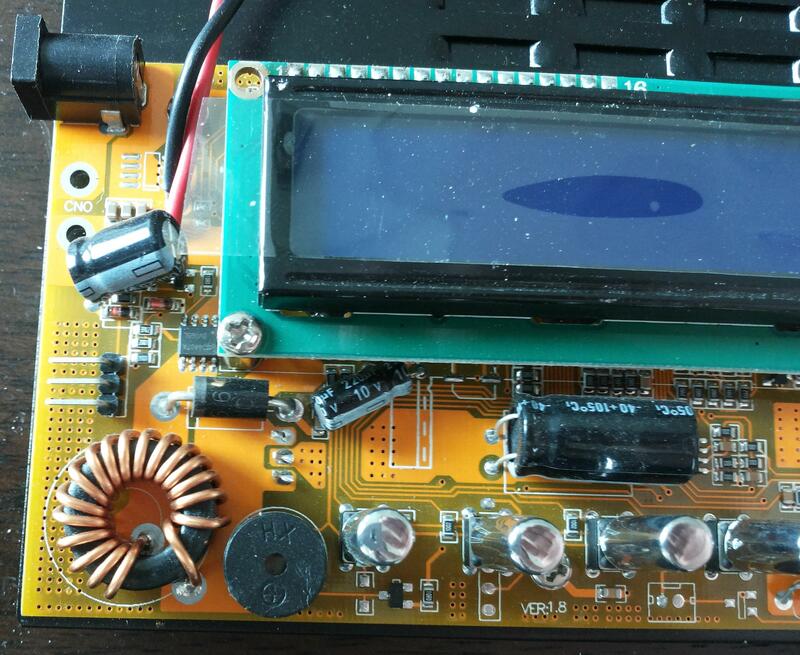 Some capacitors are not perfectly aligned…. so what!? That will still work 🙂 I did not open the power supply brick. Some people wrote that the interior looks a little bit scary. If the brick breaks then I will just replace it with another brick laying around without much whining (or just use the DC-in socket). Balancing resistors are neatly aligned, not like in the first link. 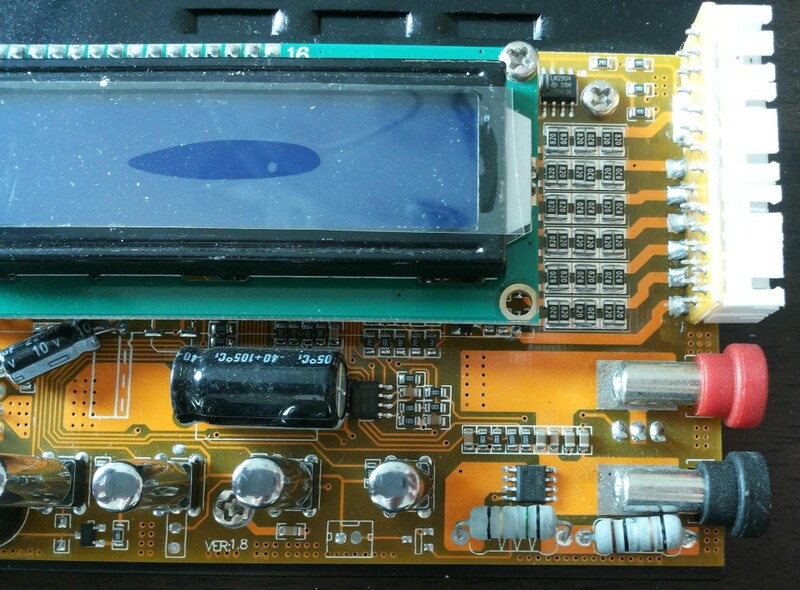 The display is soldered with pins to the main board, so I did not bother looking what is exactly below it. 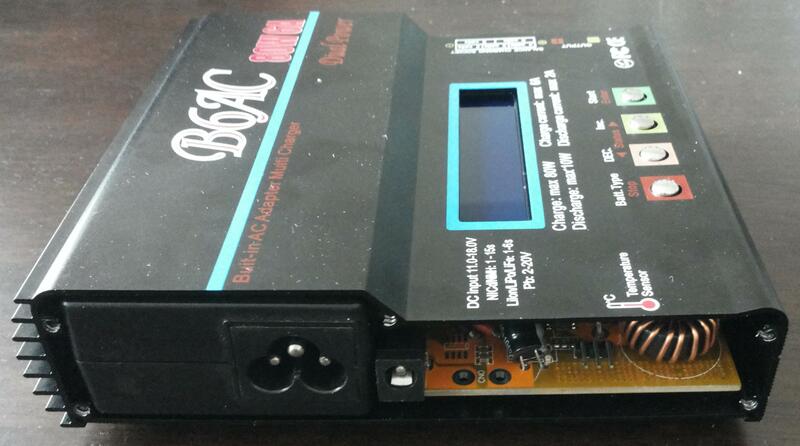 Bottom side holds the transistors that transfer heat via silicone pads to the metal case. The charger runs quite cool while charging, but hot when performing a discharge (quite obvious…). I noticed that it sometimes pauses during a discharge. I do not know why, it might be due to temperature or maybe to “look around” the battery and check its condition. I managed to squeeze almost 7,5Ah (down to 4,4V) from the battery mentioned at the beginning after three cycles with 1,5A discharge current and 4A charge current. I plan to use them to power the networked thermometer. I wonder if it can last a year. 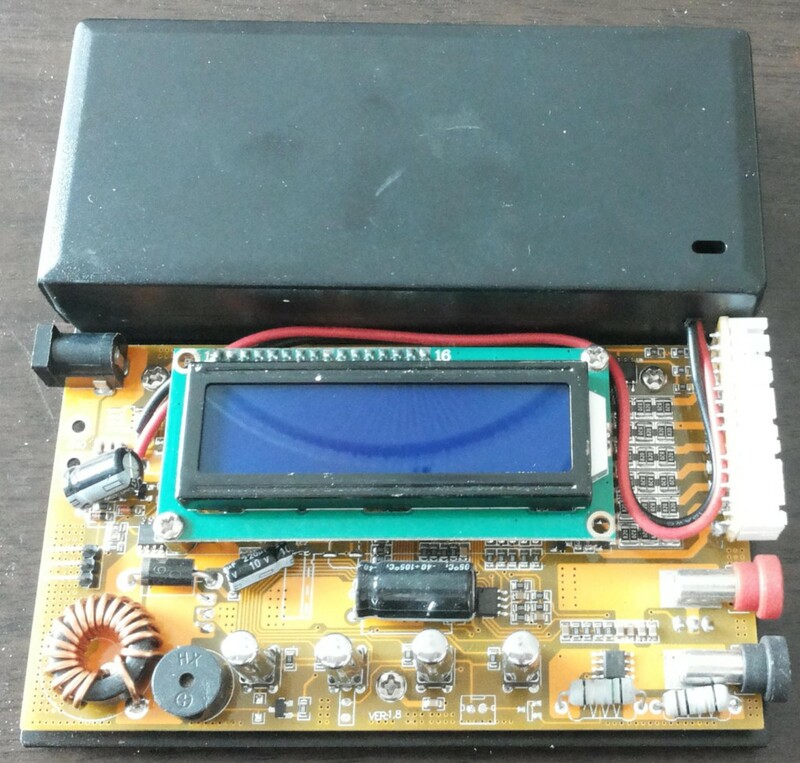 NiCd batteries seem to be a good choice for such sensors, as they require almost no care and can be safely discharged to almost zero voltage (it’s actually recommended by some manufactures to store unused cells fully discharged).